Elbi will be closed in observance of Good Friday. We will return to office on Monday April 22nd. We are pleased to announce the addition of Todd Reber as an inside sales/customer service representative starting Monday March 26th, 2018 in the Northeast Sales & Distribution center located at 41B Robinson Street in Pottstown Pennsylvania. Todd can be reached by e-mail t.reber@elbi.net. Although new to our industry, he is eager to learn on the job and looks forward to supporting your needs. Exciting things are happening at Elbi of America, Inc., and we want to share some important news with you. Loyalty from customers like you has fueled continued growth, making a northeast regional facility necessary and important. 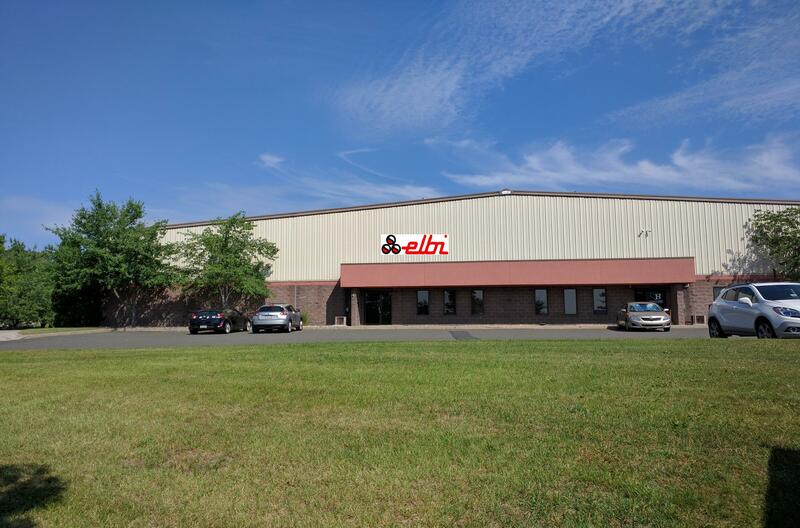 We are pleased to announce the grand opening of Elbi’s newest Northeast Sales & Distribution center located at 41B Robinson Street in Pottstown Pennsylvania June 22th 2016. The facility is 20,000 sq. /ft. and will support our full product offerings. We thank you for your continued support and business over these many years. Elbi of America, Inc. is committed to excellent service and on time delivery. We want to take this opportunity to thank you for your continued support as we all start another new year. Elbi enjoyed another successful year due to your efforts. New prices will be effective February 1 We are happy to announce limited increases. The pricing on a majority of stock items remains unchanged. This is a result of better cost controls within our fabrication and supply chain. We will honor all orders at the current prices provided they are entered by January 31st. This will give you time to make necessary adjustments and notify your respective customers. Thank you for continuing to give us the opportunity to serve you. We sincerely appreciate your business and wish you much success in 2016. If you have any questions, please contact us at 713-674-2900 or visit www.elbi.net. With this transaction, Elbi will increase our market reach and expand our participation in the residential sector. The combination is the next step in allowing Elbi to participate deeper into the residential plumbing market. of more than 5,000 items serving the plumbing, water treatment, appliance install, and hydronics markets. industry relevant products, timely delivery, and flexible packaging options–all attractively priced. Arrow has more than 200 years of cumulative industry expertise in the support team professionals. residential and commercial gas and water heater applications. Elbi of America, Inc. will be relocating to a new and larger facility at 15882 Diplomatic Plaza Drive. The new facility will include our offices and a 40,000 ft. warehouse. This will allow Elbi of America to offer a wider range of products for the commercial & residential market starting in 2016. More details will follow in the coming months regarding the types of products that will be available. Our phone & fax number will remain the same. In our continuing efforts to offer you additional complementary products, Elbi of America, Inc. is proud to introduce several new products. Elbi now stocks Flexible hose connectors in addition to Cast iron suction guides, Triple duty valves, ASME Code Flash tanks, and Chemical shot feeders.